00:01 Oh, hey. Didn't see you there. It's Noel from Electric Engine. 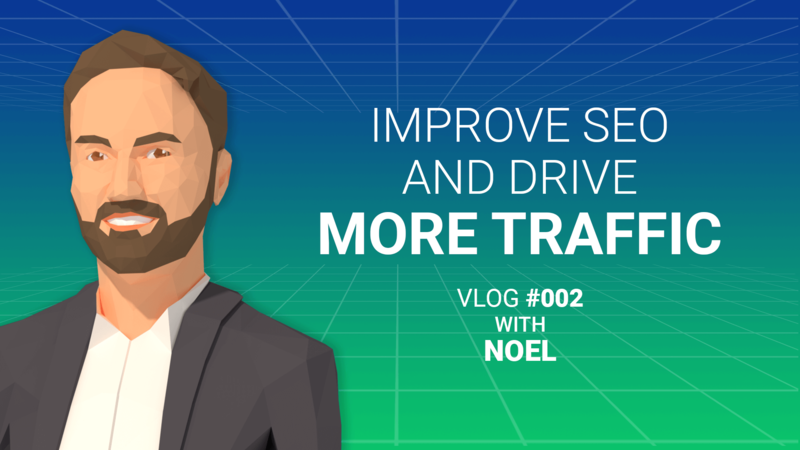 I want to share three tips with you on how to increase qualified traffic to your online store using SEO. 00:11 One. Building a strong keyword strategy. The way you're going to do that is making sure that you focus on long tail key word phrases versus short tail key word phrases. Difference between the two, short tail tends to focus on one or two words, so let's say men's shoes, versus long tail, which is multiple words, let's say men's dress shoes in blue. 00:27 The reason you want to do that is people tend to search the way that they speak. In fact, we're seeing that voice search is becoming more popular, and by 2020 over 50% of search is going to be voice search. So here's a great chance for you to get ahead of the curve. Also, you want to make sure you're using adjectives and modifiers. So say I'm looking for a restaurant, realistically you would look, search for it, say top ten restaurants within Norwalk. Again, this allows you to get more specific, more descriptive. 00:53 Two, building up your back links. So a back link is anytime someone makes a reference to your website, whether it's an influencer sharing a product, someone sharing a blog, all this points back to your website and helps you increase that authority with Google. One thing to note here is that not all back links are created equal, so say Forbes makes a reference to your website, it's going to go a much further way, than if someone who created a website yesterday made the same reference. 01:17 And three, you're going to want to make sure that your website is mobile friendly. Over 60% of search is carried out through mobile, and Google will actually ding you if the experience isn't a good one, so making sure that your websites responsive, has good load time and really provides the same type of experience that it would on a desktop is really important here. 01:35 So with those three tips, you'll be able to start improving your websites SEO, of course there's several more things that you can do, but we'll be sharing those tips as the weeks go along, so definitely make sure that you tuned and we'll be sharing that. Noel manages client services at Electric Enjin. He performs marketplace and competitive research to successfully develop individualized strategies for each client. He has hands on experience assisting the creative team with developing successful content strategies, search engine marketing plans, and PPC campaigns.